Melbourne, Australia based musician Tony Tralongo has been recording since the early 1980s, covering a range of music from Pop to Prog. 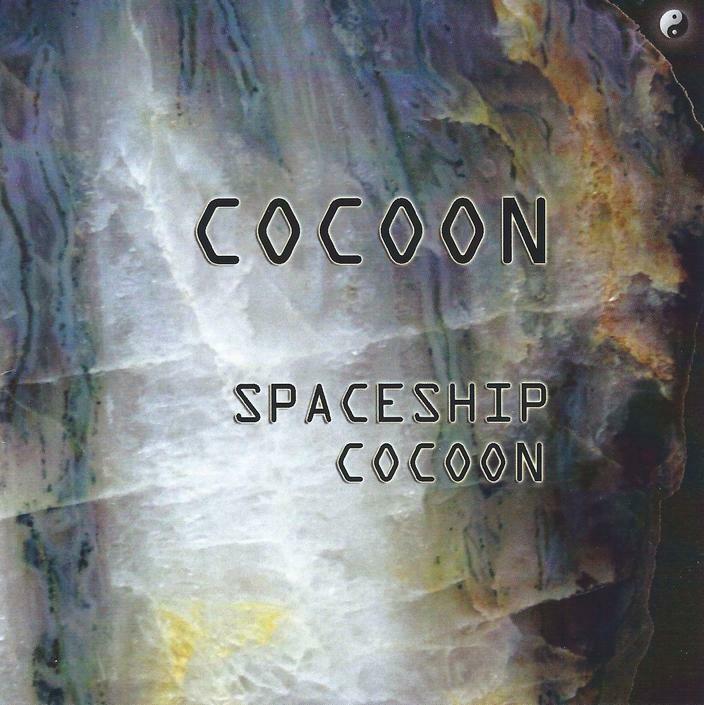 Spaceship Cocoon is his homage to Krautrock and the Kosmiche music of the 1970s. Tralongo uses virtual synthesizers to emulate the sounds of the era, though there is some guitar on the album and a couple tracks with additional musicians. The album opens and closes with space symphonic pieces that are simultaneously majestic and freaky. Sandwiched between are tracks like the_path_I_follow, which takes us deep into Klaus Schulze land, with classic syncopated synth patterns that manage to create a robotic sense of rhythm, plus throbbing and rumbling effects, all surrounded by a cosmic, uplifting symphonic aura. galactic_station is an adventure in sound and effects, conjuring up images of a drag race in space film sequence. Tralongo launches into Space Rock mode on planets_of_rock, a dark, droning rocker with swirling and blazing effects, propelled by programmed (but effective) drums. A similar theme continues on complicated_apparatus, which includes guest musicians E. Sarpa on bass and R. Parisi on drums. This piece rocks but is equally focused on atmospherics that are both dreamy and droning. We’ve also got freaky voice samples from which we learn that the complicated apparatus of the title is one that is jacked into your brain. This track reminds me of Pressurehed. transition is a quirkily rhythmic piece that’s a little disorienting under the headphones. Along with the mission control voice samples it brings to mind some of the cool minimal synth underground works from the 80s. Tralongo cranks out some chunky rocking guitar on take_the_trip. motor-cycle is one of my favorites, being an interesting mix of motorik Neu! and psych rock a la Colour Haze. In fact, Tralongo’s guitar sounds a lot like Stefan from Colour Haze, and E. Sarpa returns on bass, giving this piece a rockin’ band feel. At over 11 minutes the music stretches out, floating through space-psych jams, 90s Hawkwind inspired bits, and space symphonic washes and drones. I like how the motorik drive pervades throughout, until the several minute electronic fade. In summary, Tralongo does a great job of capturing the spirit of 70s Kosmiche, though there’s far more variety throughout the album than the purely retro experience his mission statement would suggest. CLICK HERE to order the CD from Musea Records.